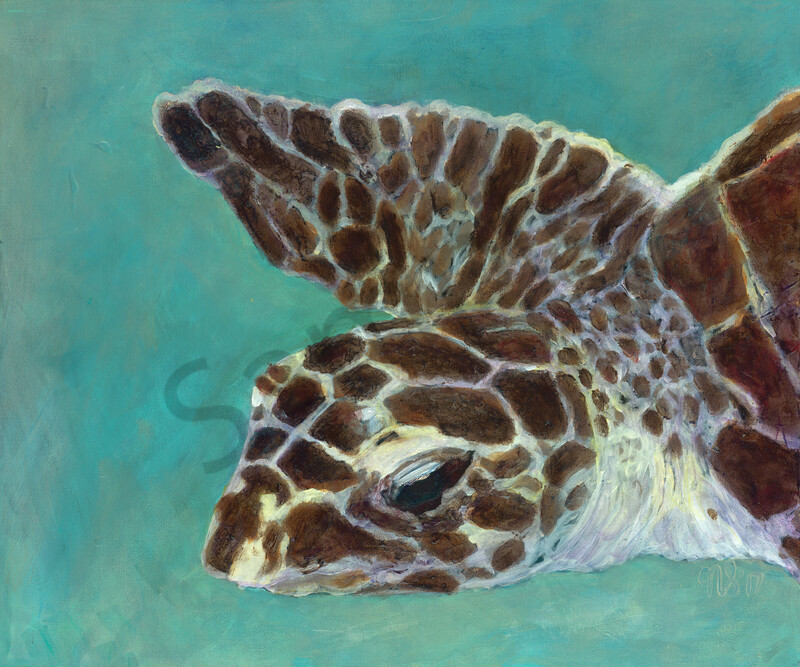 The painting of this lovely, realistic, emotive loggerhead turtle, was inspired after watching it swim for ages. I was captivated by the colours, textures and patterns of these majestic creatures, found along our eastern Australian coast. I loved the way in which the turtles eyes held so much calm and serenity, how the water changed the colours of its shell. 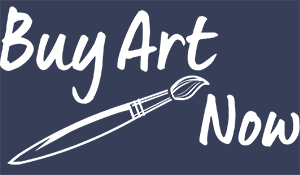 I loved how it seemed to be both a part of the ""right now"" but also as if it had always been, and always would be. That it was both just idly biding its time, but also on an important journey that only it knew about. This playful duality, as well as the child-like fun of painting a turtle, was a really compelling motivation for this work. Where else could you have an adult pause and look with joy and understanding, as well have a small child yell ""Dory"" or ""Nemo"" or ""Crush"" with great excitement.